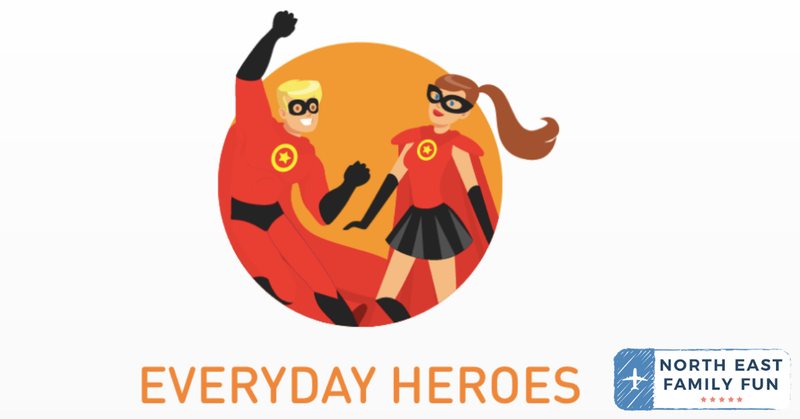 Are You A Roadside Hero? As a family, we've covered a lot of miles driving around the UK and although we have a new Dacia Logan now, our previous cars weren't exactly reliable and we've experienced our fair share of breakdowns over the years. I'll never forget the time we broke down in rush hour as we were headed to the Fenwick's Window VIP launch. Our timing belt snapped on our old Zafira and the timing literally could not have been better! Talk about a stressful experience. Luckily a lovely man stopped and helped push our car onto the verge whilst we waited for assistance. He was definitely a roadside hero. We had three kids with us and were on a busy road so an extra pair of hands was something we were super grateful for. During another trip, Steve and I were driving to Craster for the day when we drove over some glass on the A1 which caused a puncture. As we waited for roadside assistance to arrive and change our tyre (we didn't have a spare! ), not one person stopped to see if we were ok or needed any help despite hundreds of people driving past us. There were definitely no roadside heroes that day! Personally, I've never stopped to offer assistance to a car that has broken down. I think this is mostly down to the fact that I don't really drive a lot and when I do see cars that have broken down, they are usually already receiving assistance. I do like to think I would help is the situation arose though. The RAC has put together a quick quiz so you can find out if you're a roadside hero - you can try it yourself here. It got me thinking - would I really stop if I spotted somebody in need? I honestly think I would. 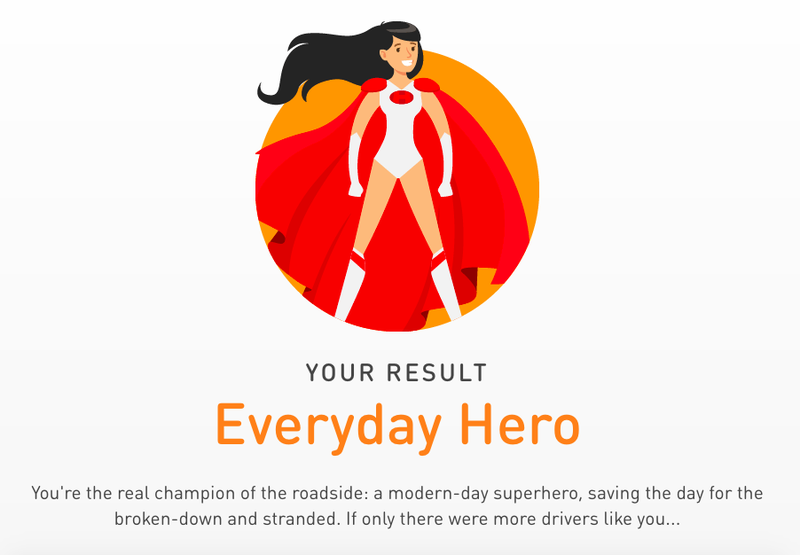 I've tried the quiz (there are only 8 questions) and I'm pleased to reveal that I actually am a roadside hero. Phew! We're driving down to Cornwall at the weekend and the quiz has really made me think about stopping and helping others if we spot anyone in trouble during our trip. Have you ever helped somebody in a roadside emergency? Or has anyone helped you? I'd love to hear your feel-good stories. Don't forget to take the quiz below and let me know your results too.